The Corona Forged Pro Cut Bypass Pruner features advanced, high-performance blade technology with a replaceable, resharpenable Dual Arc blade. 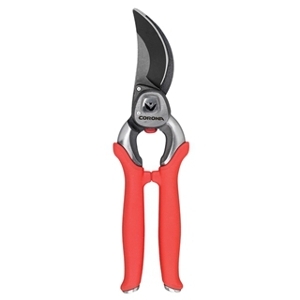 The pruner provides power and precision 1-inch cuts, and an internal spring prevents lost parts and clogging. For maximum comfort, the pruner features a shock-absorbing integrated bumper and a contoured soft grip.